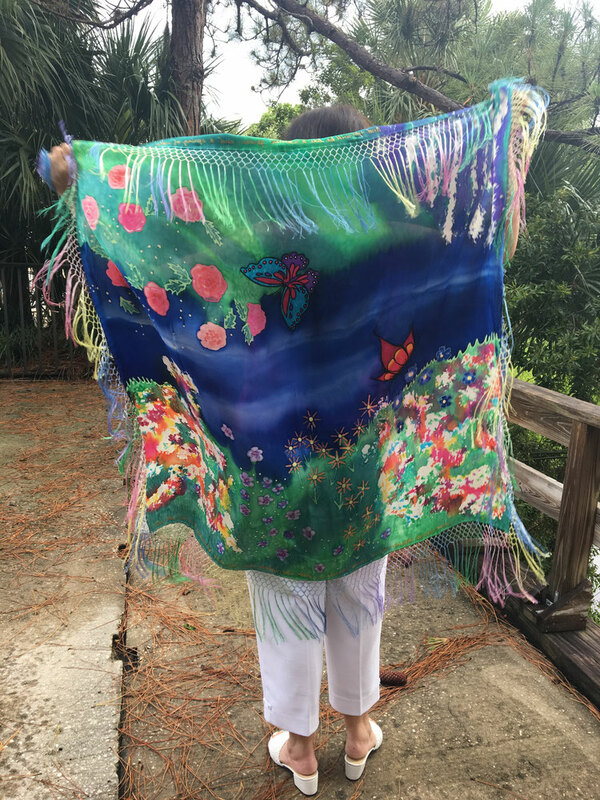 The Garden Prayer Shawl - 3 Strand Cord Silks - Glowing Silk Flags & Billows based on the Bible, Jesus and His Church, to enhance your worship of God! 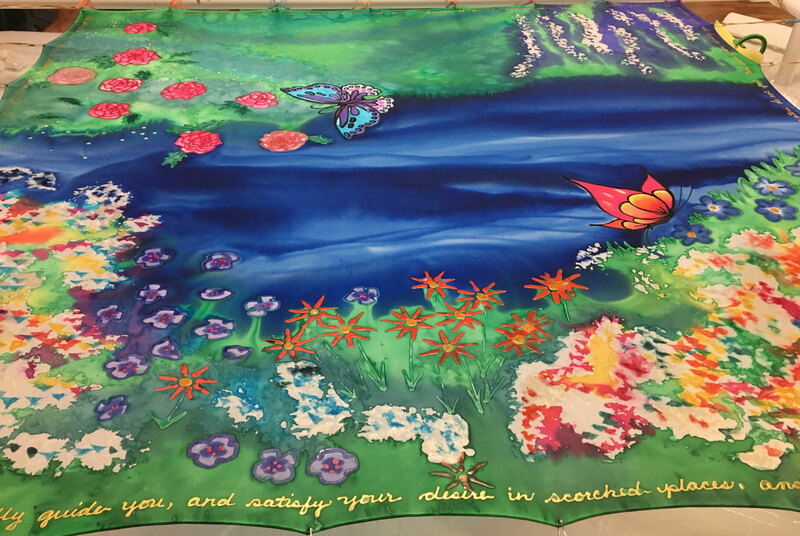 Go to your secret place for prayer, a peaceful scene of flowers, foliage, butterflies and blue waters hand painted on silk. 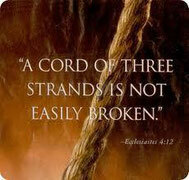 Scripture from Isaiah 58:11 is written in gold around the hemline. 44 x 44" without fringe. 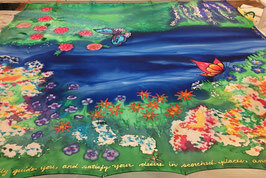 Color and design vary slightly with every shawl.